The Women’s Cooperative in Nyange is building a new home for Epiphany, who is living with her two children in another family’s home. Epiphany’s husband disappeared during the 1994 genocide and her children are 22 and 26. 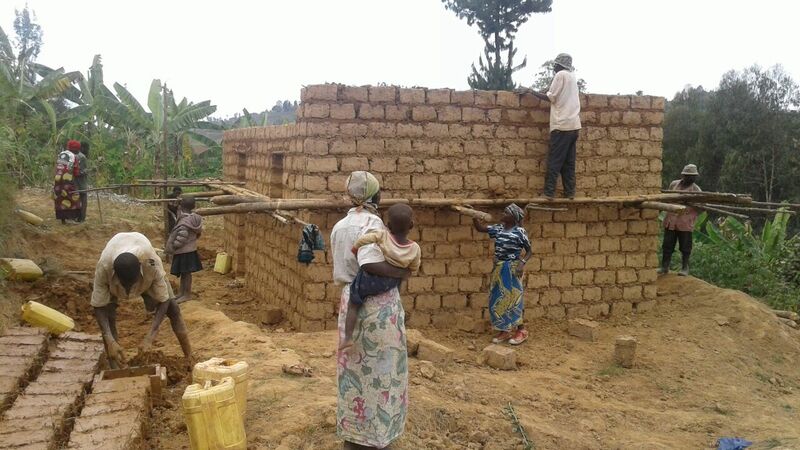 This is the third home this PICO Rwanda group has built for the neediest in their community with bricks and roofing tiles they make by hand. For the past six years, PICO Rwanda has empowered women with skills to overcome crushing poverty. Many adults eat one meal a day to insure the children eat at least two and hopefully three. They only eat meat one day a year – at Christmas. The life expectancy of an adult is mid-fifties. Because they do not have consistent rain year round or enough farm animals to fertilize the soil, most barely survive from subsistence farming, and use their average $200/year income to purchase food and pay for their children to go to school. 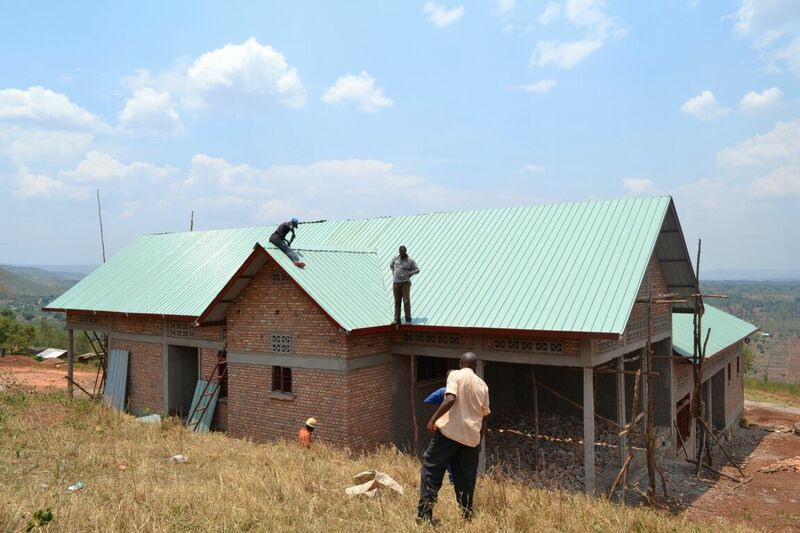 PICO Rwanda helped the Nyange cooperative with partnerships to not only build and roof their own houses, but also create a pathway to make and market roofing tiles to lift the community out of poverty. A second trip to Nyange by engineering students from Santa Clara University (SCU) has been the impetus to connect with the Kigali Institute of Technology, a Swiss non-profit and the government to provide simple technology needed to mix, press and bake tiles with the efficiency and quality needed for profitable sales. SCU students designed and delivered the mixer and press. 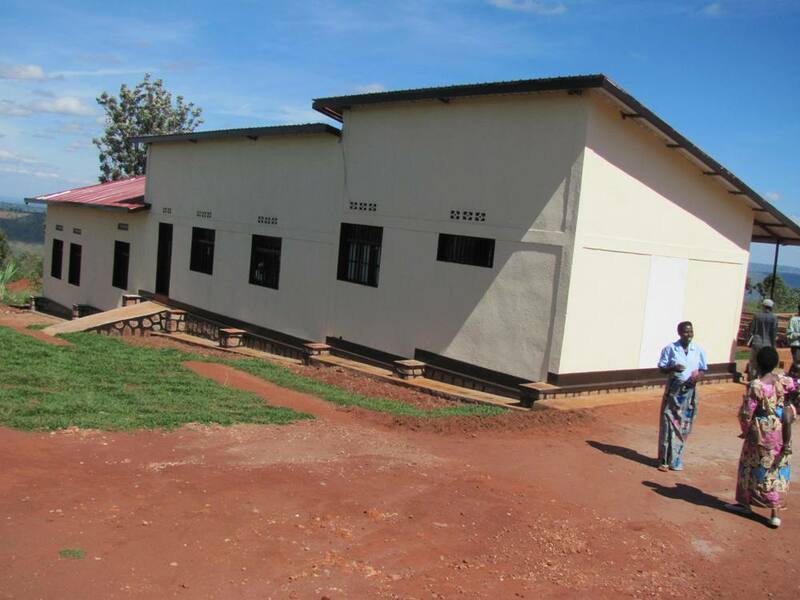 Kigali Institute improved on the design. The Swiss NGO will construct the kiln that is key to this enterprise. The government is providing the land for the new equipment, the kiln and the new homes that are being built for women like Epiphany. The path from poverty to hope will take some time. Leaders have named building an effective kiln, providing more houses, obtaining more farm animals, clean water and simple cook stoves as issues that are high on their list. When an SCU student asked a blind resident who makes roofing tiles what their most pressing needs were, he in turn asked her how long they would stay committed to the community. “If we would be with the community for one year, his list would be different than if we would be there 20 years,” she observed. PICO Rwanda is committed for the long haul. 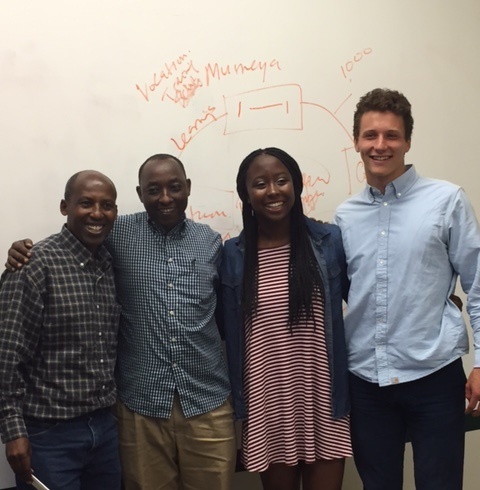 Ongoing work in Nyange is possible because generous individuals like the Chicago Donor Circle have provided funds for three years that enable PICO Rwanda Executive Director, Pr. John, to accompany Nyange leaders on their journey to hope. Won’t you join them?